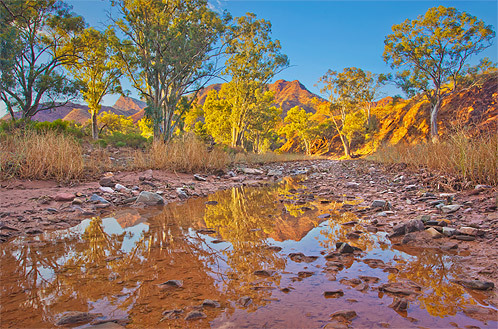 Parachilna Gorge is a beautiful gorge in the central area of the Flinders Ranges. This image was taken after a spectacular lightning storm the previous night, and was completely dry the previous day. It's amazing how an area can be so radically transformed in less than 24 hours. Later this night, I wasn't even able to cross this same creek bed due to flash flooding due another, much bigger storm.